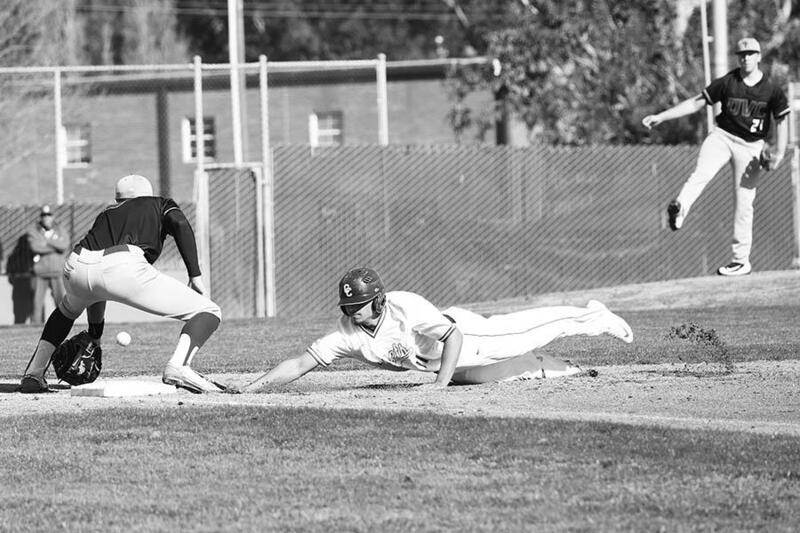 Comet infielder Elijah Smith stretches out in a head-first slide, beating the throw back to first base during CCC's 21-6 loss to Diablo Valley College at the Baseball Field on Jan. 28. The Comets' next home game is scheduled for Feb. 9 at 2 p.m. at the Baseball Field. 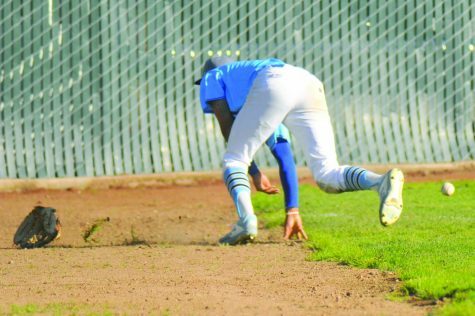 The newly revitalized baseball program at Contra Costa College starts its season this spring with an optimistic and hopeful outlook, partially due a revamped coaching staff that boasts some previous professional playing experience. Coach Brian Guinn said in practice that the team works on playing fundamental baseball in a positive setting where everyone feels good about themselves. That kind of continuity is important to develop within a team that has real talent and potential. The team features 17 freshman and 12 sophomores who all have the intention of going above and beyond their 12-22 record from last year. Guinn seeks to continue to build on the accomplishments his team earned last year, his first as Comet head coach. “One of the most rewarding things about coaching is seeing the athletes when they grow up and come back to thank me later on. I always enjoy re-connecting with them when they’re older,” Guinn said. One downside for Comet baseball this year is that the rain has made it difficult to hold scrimmages and practice. 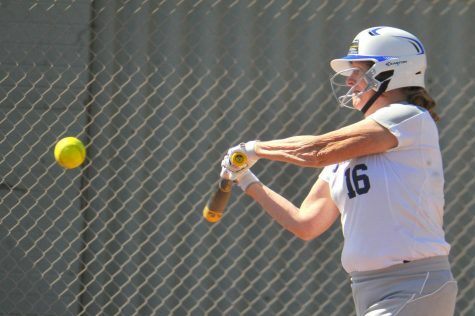 That limits the opportunities that players have to see live pitching, so they have been forced to improvise by spending more time in the batting cages. 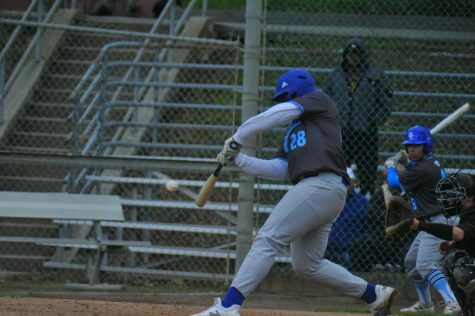 “One of our strong points is hitting this year, but because of the rain we’ve been practicing in the cages working on timing, form and sitting back on the ball,” freshman catcher Mike Dozier said. 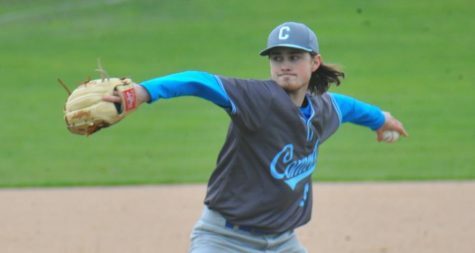 It’s a challenging feat to be able to produce a winning season in the fluctuating world of community college baseball where every year schools get a new crop of players. One key ingredient in the recipe for success is recruiting top players. “I made sure that I paid a visit to local schools. I wanted to have a presence and show our face,” Guinn said. 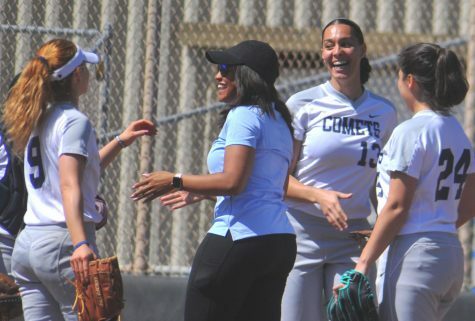 While the Comets do have new young talent, they also have plenty of work to do this year if they want to mirror the pitching prowess from last year’s squad. 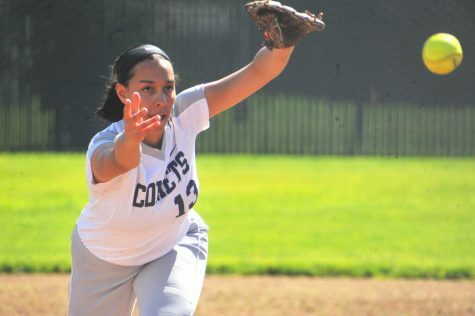 Last spring, CCC pitchers threw a colossal 166 strikeouts, averaging seven-and-a-half per game. Whenever anyone strives to be the best they can be, there’s always room for improvement, which is why coach Guinn utilizes self-evaluation at the end of the year, so he knows how he can improve. “I just try to remember the right decision I made from last year and build from there,” Guinn said. 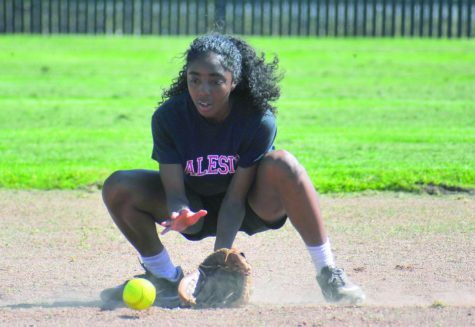 Every athlete has his own techniques he uses for improving within his discipline, but none that are quite as unique as sophomore outfielder Rabonnie Carter. “What I do to work on improving my base running is watch the Rickey Henderson documentary, because it shows exactly what he did and how he maintained the stolen base record. A lot of pitchers do different things, but the movie shows the specific importance of paying close attention to the face and shoulders. I watch it over and over,” Carter said. They say that the higher you set the bar, the better you’ll do in the long run and Carter has done just that with his grandiose goals. “In five years I hope to be playing professional baseball,” he said. 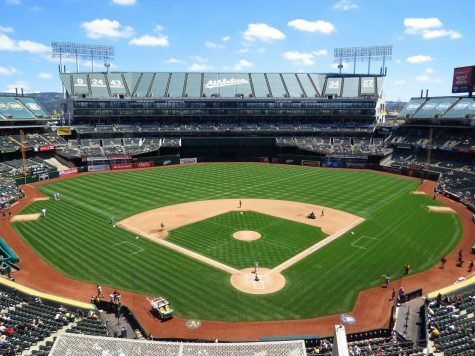 With the recent storms that struck the Bay Area last week, three of the team’s recent games have been rescheduled because of weather. 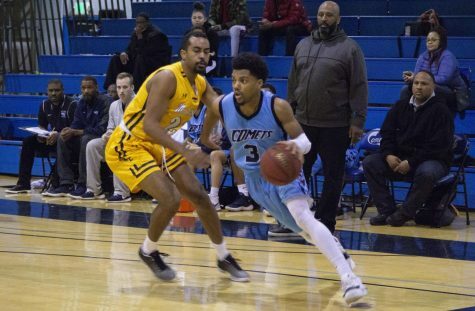 The Comets are slated to return to action Thursday at home to play Sacramento City College at 2 p.m. at the Baseball Field.